Animals depend on their families, just like humans do. Humans are not the only ones that find a mate to stay with for life, a number of different animals do the very same thing. Together these pairs have children, raise a family, and basically live a life more similar to us than we often assume. Animal families are so very cute, highlighting the precious love that vibrates all throughout life here on planet earth. 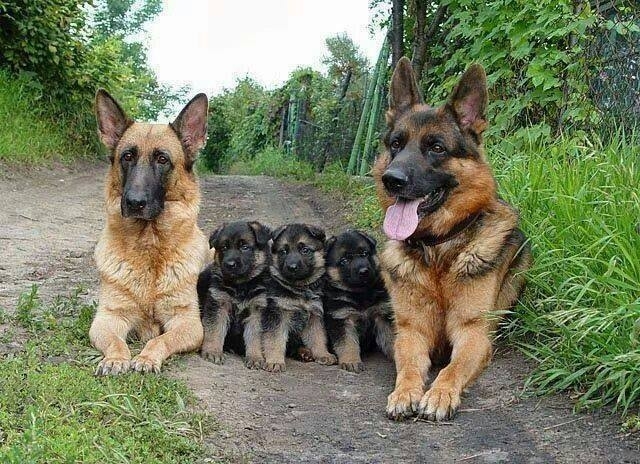 These 22 animal families are sure to make your heart melt! This mama has a lot of baby cheetahs to feed! Humans spend a lot of money having their family portrait professionally taken, but these adorable animal families are so cute wild life photographers snap pictures free of charge! The babies are all smiles clinging tight to Mama Meerkat! Meerkats don’t just live together in families but they often live together in communities made up of multiple families. Meerkats make great team members, they all work together serving different roles to keep safe and thrive. Monkeys are emotional creatures with the capacity to love and care for others just like humans. This fact is made apparent through this touching family portrait. Well, I don’t know about the mule on the far left… but the rest of you pass for related! Bears usually only have one cub at a time, it looks like this mama is hanging out with her kids and maybe some extended family too! Baby is only the size of mom and dad’s heads, he sleeps safely pressed between their two loving snouts. Baby still has a long way to grow, hippos are the 3rd largest land mammal, weighing a hefty 7,900 pounds on average. This baby squirrel is so tiny she doesn’t even look like a squirrel yet. Mommy squirrel carries her baby around with such loving care. For the first few months baby squirrels are entirely dependent upon mom. Baby squirrels are completely blind when they are born, but adult squirrels have excellent vision! This mother keeps her little winged babies safe beneath the weight of her wings. Even prairiehonds have their romance interrupted by needy children. The tallest mammal in the world, the giraffe usually travels in packs of around 12 long-necked beauties. Just look at the peepers on those baby owls–so cute!! Mom can always make the bad dreams stop. This dog can’t stop staring at her precious baby pup, not even long enough to snap a family portrait! These adorable raccoons can’t seem to get close enough to one another. Unlike bears and a number of other animals, male and female penguins share the responsibility of raising their children together. This mom and dad look at their baby with loving affection, their heads bowed into the perfect shape of a heart. See 25 of the cutest parenting moments in the animal kingdom.